So you know that I’m not a big fan of flowers. The arrangements that look all awesome and fancy are just too unfriendly on the wallet for my liking. When it comes to entertaining, I prioritize the alcohol, food and good company before I think about flowers. Lately I’ve been seeing a lot of flowerless centerpieces that I thought I would share for you to use as DIY inspiration. Most of the ones included today take random household things that if you save up or seek out, these ideas won't cost a lot to put together. 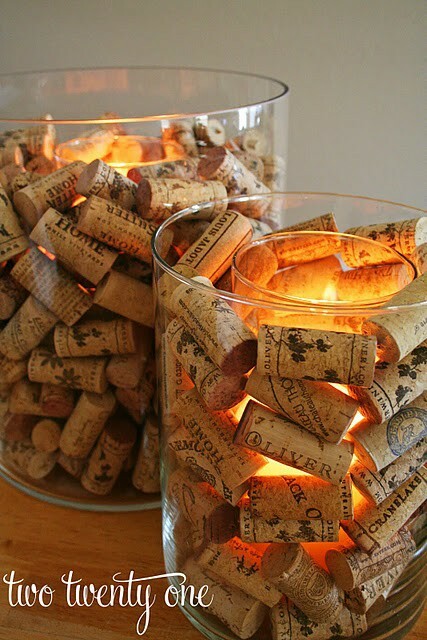 Like these wine corks, there are a number of centerpieces out there that involve a vase, filler and then a candle in the middle. 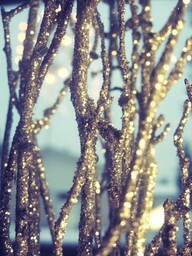 How fun are these glitter sticks? SO EASY – find sticks (wash them and let them dry completely), spray them with some glue and then glitter and throw in a vase! 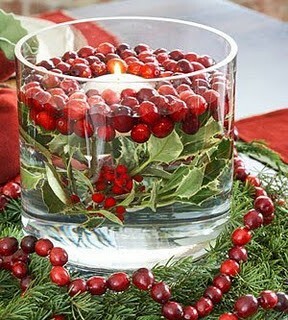 This one is perfect for the upcoming holiday season – cranberries and some greens in a vase with a candle? DONE. 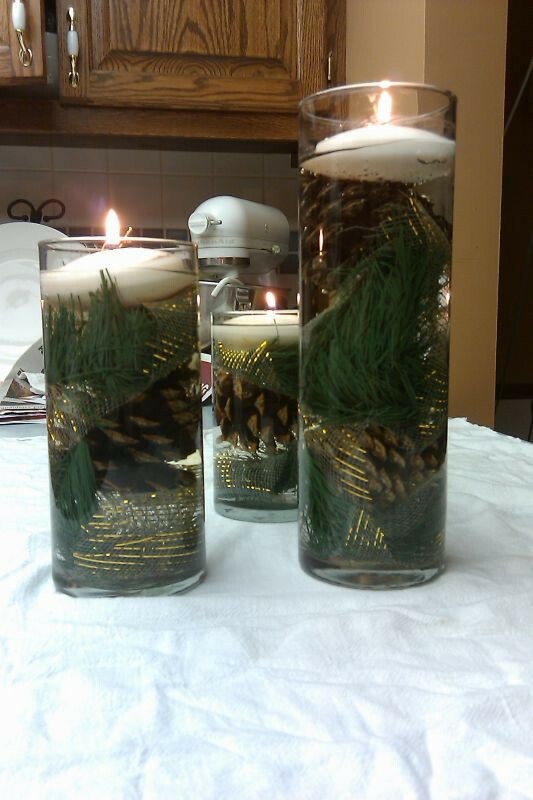 Speaking of holidays – another earthy idea. Gather some pinecones and pine leaves, submerge them in water and add a floating votive to the top for this Christmas-y creation. I also see some ribbon hanging out in there. A good use for your scraps! This is just a sampling. I have more where this came from. One day I will take down the 1% that can afford flowers (I kid).